02/09/2010: James Patrick Kelly returns. 12/14/2009: Good interview with historical member, Vandana Singh', on the World SF News Blog. 12/09/2009: Jim Cambias' story, The Wolf and the Schoolmaster, is in Shimmer #11, The Clockwork Jungle. An interview with him is here. Sarah Smith will be joining the Book View Cafe on July 16. Good review of historical member Vandana Singh's novella, Distances , in Strange Horizons. Steven Popkes' story, Two Boys, is in the August 2009 issue of Asimov's. 05/12/2009: F. Brett Cox has rejoined the workshop. 04/17/2009: Elaine Issak joined CSFW. 03/23/2009: Historical member, Theodora Goss' story, The Puma, is in the March edition of Apex. 03/20/2009: Historical member Vandana Singh's story, Oblivion: A Journey, has been included in Cramer and Hartwell's Years Best SF 14. The story first appeard in Clockwork Phoenix. 03/05/2009: Sabbatical member, James Patrick Kelly's story, Don't Stop (Asimovs, Jun 07) is on the Final Ballot of the Nebula Award. 02/23/2009: Jim Cambias' story, Balancing Accounts, F&SF2008, has been translated into Russian. 02/17/2009: The Bay Area SF Assocaition (BASFA) has recommended Alex Jablokov's story The Boarder. The story appeared in the March issue of F&SF. News here. 01/06/2009: Gardner Dozois has also selected James Cambias' story, Balancing Accounts, for his Best of the Year anthology. See here. The story first appeared in the February Issue of F&SF. 12/22/2008: Vandana Singh's novella, Distances, has been published by Aqueduct Press. 12/08/2008: Richard Horton, editor of the Prime Books' anthology Science Fiction: The Best of the Year (as well as the fantasy equivalent) has chosen James Cambias' story Balancing Accounts for the anthology. See here. The story appeared in the February issue of F&SF. 12/03/2008: Joy Marchand's story, A Night at the Empire, is on-line at the Apex website. 11/21/2008: Sabbatical member James Patrick Kelly has an interview on Gossip Lady. 11/12/2008: Here is an online readable version of Theodora Goss' Singing of Maount Abora. 11/03/2008: Theodora Goss wins World Fantasy Award for Singing of Mount Abora, Logorrhea, Bantam Spectra. Kelly is speaking at Chester College on November 6. One of his stories or articles (haven't been able to figure out which one) is in Fiona Kelleghan's collection, The Savage Humanists. 10/29/2008: Just discovered the Spring issue of Shimmerzine has a story by Joy Marchand. 09/09/2008: Sabbatical member James Patrick Kelly's story, Don't Stop, has been nominated for (yawn) yet another Nebula. 08/07/2008: The Theodora Goss story, Singing of Mount Abora, published in Logorrhea, is a finalist for the World Fantasy Award. 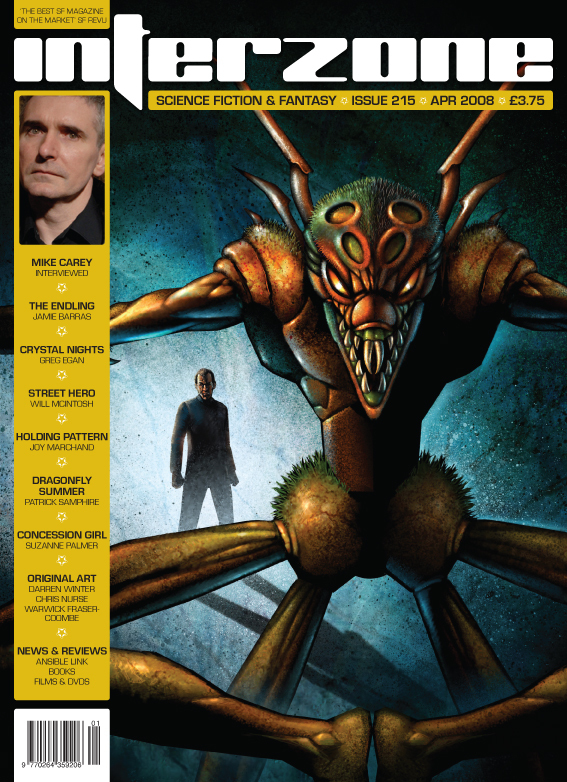 08/03/08: The Theodora Goss story Her Mother's Ghosts is in the latest issue of Clarkesworld. Historical member, James Patrick Kelly, is a special guest star on Upon Furher Review. 07/28/08: A review of the stories in Jonathon Strahan's Best Science Fiction and Fantasy of the Year, Volume Two, is here. It includes works by current member Theodora Goss as well as historical members Alex Irvine and Kelly Link. Rich Horton's Science Fiction: The Best of the Year, 2008 edition, has the story Brain Raid by current member Alexander Jablokov. It also has the story Vectoring by historical member Geoffrey Landis. Rich Horton's Fantasy: The Best of the Year, 2008 Edition, has the story Singing of Mount Abora by current member Theodora Goss and the story Light by historical member Kelly Link. 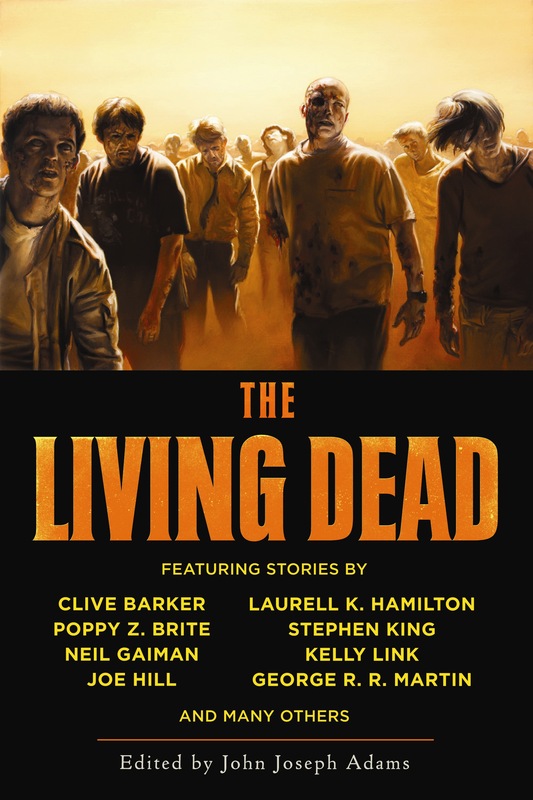 John Joseph Adams is publishing a zombie anthology, The Living Dead. It contains a story by historical member Kelly Link, Some Zombie Contingency Plans. 07/21/2008: F. Brett Cox will be a special guest at SFRA in Atlanta, 2009. 07/05/2008: Theodora Goss' story, The Singing of Mount Arbora, and historical members Alex Irvine's story, Wizard's Six, Kelly Link's story The Constable of Albal, are in Jonathan Strahan's, The Best Science Fiction and Fantasy of the Year Volume Two, Night Shade Books. See here. Theodora Goss' poem, How Raven Made His Bride, is in the 2008 Rhysling Awards Anthology. Steven Popkes is in the August F&SF with the story Another Perfect Day. 06/18/2008: Joy Marchand and Jim Cambias will be running the annual Readercon Workshop at Readercon-19 in July. Joy Marchand's story, Clementine, has just been published in the Apex Science Fiction and Horror Digest. SF Signal has a list by editors and writers of future genre writers to watch. On the list were the following current members of CSFW, Jim Cambias, Theodora Goss and Vandana Singh, as well as historical member, Alex Irvine. 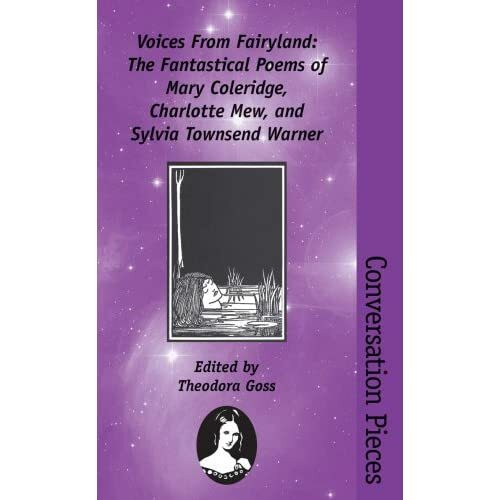 06/17/2008: Voices from Fairyland, the critical work by Theodora Goss regarding the fantastic poems of Mary coleridge, Charlotte Mew and Sylvia Townsend Warner, has been published by Aqueduct Press. 06/08/2008: Theodora Goss has been nominated as a finalist for the Mythopoeic Award for her story, The Forest of Forgetting. The winners of this year’s awards will be announced during Mythcon XXXIX, to be held from August 15-18, 2008, in New Britain, Connecticut. 05/27/2008: Historical member David Smith's foundation, the Affordable Housing Institute, received a significant grant from the Gates Foundation. 05/19/2008: Joy Marchand's story, A Secret Life of Gluttony was in Talebones #36. A review is here. Jim Cambias story, The Dinosaur Train, in the July F&SF already has a review here. 05/13/2008: Joy Marchand's story, Black Annis, has been accepted for publication in Unspeakable Horror , to be released this fall. I'd say more but I can't talk about it. 05/12/2008: An essay on Mary Coleridge by Theodora Goss is in this month's Aqueduct Gazette (pdf). Link to Aqueduct Publishing blog is here. Aqueduct Press Publishing is here. 05/08/2008: The Jim Cambias story, The Dinosaur Train, will be in the July F&SF. More information about that issue here. 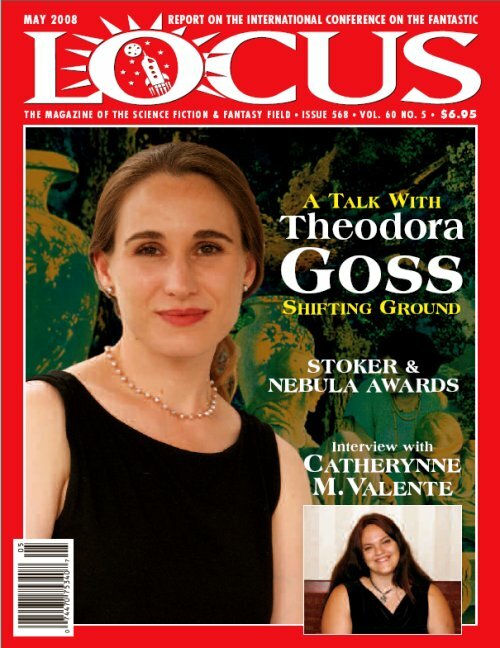 05/05/2008: Theodora Goss is interviewed of, and on the cover of, the May issue of Locus. 03/26/2008: F. Brett Cox's story I Hear Music Up Above has been accepted by Phantom. His story, Flannery on Stage will be reprinted in a chapbook of stories about Flannery O'Connor by Payseur & Schmidt. Other news from Brett that didn't get onto this page is available here. Joy Marchand's Clementine has been published in Apex. 03/25/2008: At ICFA, James Kelly is shown receiving a royalty check symbolic of the success of the slipstream anthology edited by he and John Kessel, Feeling Very Strange. 03/21/2008: Joy Marchand's Holding Pattern has been published in Interzone 215. 03/19/2008: David Alexander Smith, historical member of CSFW, has written up a nice obituary of Arthur C. Clarke and an analysis of The City and the Stars here. 03/13/2008: Endicott Studios put up a nice biography of Theodora Goss here. It's linked to her poem,What Her Mother Said, here. 03/06/2008: Review of Vandana Singh's Of Love and Other Monsters in Strange Horizons. 03/05/2008: Another nice review of Interfictions, edited by Theodora Goss and Delia Sherman. 02/28/2008: Nice review of Interfictions, edited by Theodora Goss and Delia Sherman. 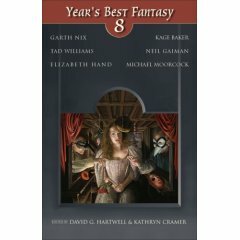 02/27/2008: The Theodora Goss story, Princess Lucinda and the Hound of the Moon, will be in the Year's Best Fantasy #8. 02/25/2008: Nice interview with Vandana Singh in Aquaduct Press. 02/20/2008: Nice article on Vandana Singh in Zubaan. 02/11/2008: Theodora Goss has a quick review of her In the Forest of Forgetting in Of Two Minds blog. The Alex Jablokov story, The Boarder, in the March F&SF has been released. 02/07/2008: F. Brett Cox to edit a new reprint collection of stories inspired by Flannery O'Connor. 02/05/2008: Vandana Singh's interview is in the December 2007 edition of Ideomancer. 01/29/2008: Current member Theodora Goss and past member Kelly Link will both be at the AWP this weekend. 01/28/2008: Steven Popkes' story, The Great Caruso, now available online. Sarah Smith's novel Chasing Shakespeare has been made into a musical. The curtain goes up Feb. 4 at MIT. Details on her website. F. Brett Cox has been named as one of the judges for the Shirly Jackson Award. 01/22/2008: Joy Marchand joins the workshop. 01/13/2008: Vandana Singh's Of Love and Other Monsters (Aqueduct Press 2007) has been selected for Gardener Dozois' Year's Best Science Fiction to be released in 2008. 01/2008: Steven Popkes and Jim Cambias are in the February F&SF Magazine. The Popkes story is Bread and Circus, which went through the workshop in 2007. The Cambias story is Balancing AccountsI which did not go through the workshop.